When Syn-Mar Products needed a website and social presence that properly represented their place as a leading manufacturer of solid surface counters, sinks and shower walls, they called Emerger Media to create the right solution for them. We designed a website that communicated Syn-Mar’s message, featured their products, maintained their brand identity and integrated social media. 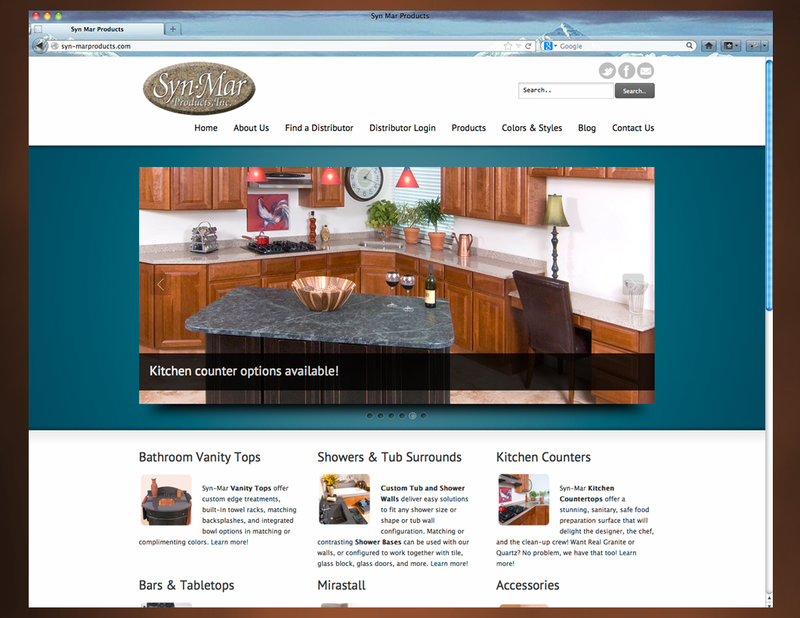 At Syn-Mar Products we have worked with Emerger Media to build multiple custom websites for us. As our enterprise continues to grow and we continue to expand our products and services, we are in the process of having Emerger Media build a third site. We found their eCommerce on-boarding services to be particularly effective in getting our eCommerce store established and our products online and available for sale. Working with Emerger Media allows us to have a technology partner that we can trust so that we can focus our efforts on continuing to grow our business.